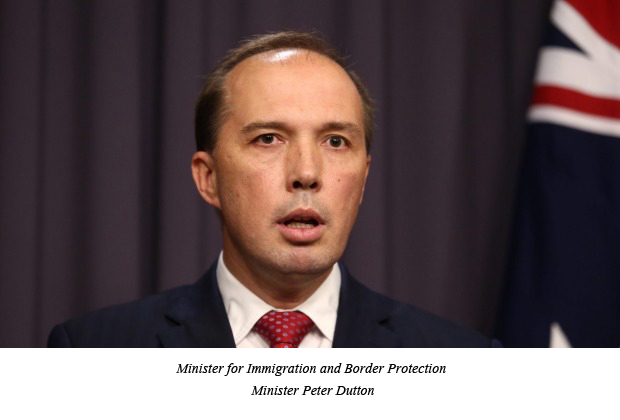 Like millions of my other fellow-Australians I was dismayed at the government’s bungled handling of the Australian Border Force’s press release last week. Good people from all walks of life were shocked and demanded to know how on earth Minister Peter Dutton could have restricted the Force’s powers to scrutinising the visa’s of the taxi drivers and other illegal immigrants they came across only, when the likes of Adam Bandt, Tony Windsor and that histrionic wimp Andrew Wilkie continue to walk our streets, free to make completely fanciful and ridiculous statements to the media, unchecked. It’s just beyond the comprehension of decent, law-abiding citizens like myself how the predictable, knee-jerk ravings of these lunatics, based on the tiniest, confected pretext (but really, because Tony Abbott is still PM) are given the oxygen of publicity, and that the perpetrators themselves are not severely punished for the rubbish they spout. That they were all born here and don’t need visas should be no excuse. They should know better than to spend their lives, day in day out, incessantly brain-washing our children with their hysterical Leftist nonesense. It’s time, I suggest, that they should all be charged with un-Australian activities – and deported from our golden shores with all speed. I am therefore putting together a petition today that demands that all these prime, Leftist idiots – for that is what they are – are immediately rounded up and deported to New Zealand or, ideally (and more humanely), to Al-Raqqa. Those who protest and refuse to go, should – once again, it is only a suggestion – be carefully shot (as humanely as possible) rather than allowing them to stay and continue to pollute our nation’s airwaves any further. Before they go, they should be forced to endure endless repeats of Kevin Rudd’s CNN debut to remind them just how bad this country can get. And, writing about the Border Force in The Guardian today, the Tasmanian author Richard Flanagan immediately flagged his role as one of the Left’s chief propagandists. After reading the gushing reviews and approvals of his piece from the mindless Guardianista commentariat, would it be too much to ask, also, that the proceeds from Flanagan’s (otherwise admirable) writings be confiscated forthwith, and be used to help subsidise the costs of his deportation and/or any ammunition involved? Alternatively, all could be forgiven if he instead turned his elegant writing to real-life, none fantasy, non-manufactured, political issues. Such as exposing rampant trade union and Labor party corruption – and the screaming hypocrisy of that arch charlatan, Bill Shorten. This entry was posted in Adam Bandt, Andrew Wilkie, Peter Dutton, Richard Flanagan, Tony Windsor and tagged Adam Bandt, Andrew Wilkie, Peter Dutton, Richard Flanagan, Tony Windsor. Bookmark the permalink.